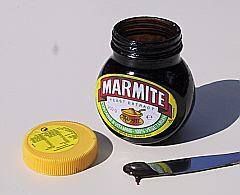 For those of you who haven’t yet relocated to London and may not be familiar with Marmite, it’s a condiment that consumers either love or hate. And, indeed, some expats moving to the UK and renting London apartments share a similar love/hate relationship with the experience, though, instead of feeling either/or, it’s a little of both. I believe London is an ideal start for North Americans wanting to try out an international experience because there is reduced culture shock—it’s more Western than continental Europe, so the day-to-day experience isn’t much of a jolt. And I’ve already lauded the at-the-very-least 10 reasons to move to London. That being said, an example of what one may have to acquire a taste for is living on a smaller scale, both physically and figuratively. In the first sense, buildings and streets are smaller and narrower, as are the stores. Shop for groceries more frequently and in smaller quantity, and, as storage place is limited in most London flats, don’t bring everything from home. Get used to doing laundry in your kitchen, buying smaller jugs of milk, and stowing clothes away in containers if not giving them away entirely, to name a few other minor adjustments. One also has to scale back here in terms of energy and overall budget. I find gas and electricity, for instance, to be much more expensive than what I paid at home, so am constantly turning lights or the heater on and off as necessary as well as drying clothing on racks. Air conditioning is a rare feature, and prepare to be taxed on any common excesses—owning a TV, a car, etc. A large proportion of your income will go to paying rent on your London apartment (unless your employer is covering the cost), so you’ll want to live modestly in other respects of less priority. One thing you will need in abundance, however, is patience for enduring slow responsiveness in service. Overall, however, you really do learn what you can live without and start to make more conscious choices, which I think is a good lesson. The fact is that in the course of an international move things will be annoying. Things will go wrong. The unexpected will always occur. But if you can take these things in stride and understand that there are trade-offs, you’ll soon recognize that what you’re gaining in exchange for what you lose is an invaluable experience that you’ll carry with you for a lifetime. For a lot of us expats, it’s only a temporary situation anyway, so you have to enjoy it for what it is during that time. The best advice I can give you for making the London move, then, is to be open-minded. Don’t expect the UK to be exactly like home. If you want it to be just like home, then an international move might not be for you. Spread marmalade on your toast instead of Marmite. It’s important to respect the ways of the nation you move to and know that you can learn from them, just as the people there can learn from you, too. To maintain this positive sort of engagement with your new surroundings, you have to be positive yourself. At least give that salty, super-concentrated vegetable stock a go with a tearful squint and a grin.